Hotel Green Point is located on the Cotton Road at Bhairabpad in Tezpur. The rooms are close to a number of important landmarks and can be booked within reasonable prices. All rooms provided by this hotel have been painted in neutral hues. Some of the walls have been painted with textured paints. The rooms have been provided with tiled flooring to enhance the homely feeling of the rooms. The rooms are spacious and well-furnished. All rooms have been provided with well-lit false ceilings as well. The additional features provided by the hotel are free Wi-Fi, a constant power backup source, parking provisions, a mini-fridge in each room, card payment in all forms, a refrigerator, and CCTV cameras. The in-house facilities include a common kitchen which can be used by the guests as and when required. The front desk area is managed by experienced staff who help the guests in all possible ways. 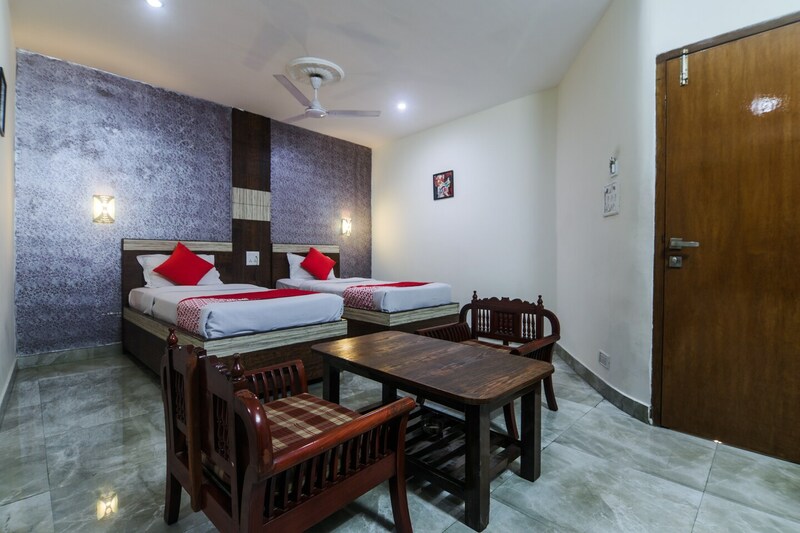 The hotel is located close to a number of utilities such as the Jonaki Theatre, Padum Pukhuri, Agnigarh, ICICI Bank Tezpur, Employment Exchange Office, Bank Of India, Sanju, and Tezpur Head Post Office.